Marketing has undergone a massive transformation. Now it is no longer just about promoting your products. Today in this competitive landscape, to stay at par marketers need to embrace technology and make the best use of it. From digitalization to social networking, technology ushered marketers with opportunities to excel and grow. Marketing automation is one such contribution of technology that enables marketers to concentrate more on boosting efficiency and planning strategies. Rather than, keeping themselves occupied with repeated works. Furthermore, marketing automation software helps marketing teams to streamline their course of action. More and more companies are automating part of their marketing task which includes activities like email marketing, lead nurturing and scoring, customer retention, list segmentation, measuring ROI, and more. Aligning the functionalities of sales and marketing team and running cross-channel marketing campaigns is what automation does seamlessly. Manual work may often lead to delay in responding to the customer’s query. However, when you automate the process, you can connect with your potential client at any point throughout the sales funnel. For instance, if a visitor visits the blog section of your website or shows interest in receiving an email newsletter, you can reach out to them during their course of action through an automated process. Thus, the list of email addresses formed is of better quality and targeted than a random contact list. When they subscribe to the newsletter, an automated thank you note may work wonders. Customers are like oxygen for your business. While most of you focus more on acquiring new customers, retaining the existing clients are equally important. And to win customer’s trust, timely communications are indeed necessary. Here comes marketing automation software into the picture to make your job easier. By using automation software, marketers can initiate campaigns at regular intervals and frequency to maintain a consistent relationship with the existing customers. Untimely and delayed promotions are likely to impact customer trust in your brand negatively. Moreover, the marketing automation software can provide you with informative customer insights such as their needs, preferences, concerns, etc. Such in-depth knowledge about your audience will help you better target customers with a relevant proposal. The intervention of marketing automation in the marketing field did not happen overnight. Thanks to technology that gave us the Internet and concepts like online marketing. 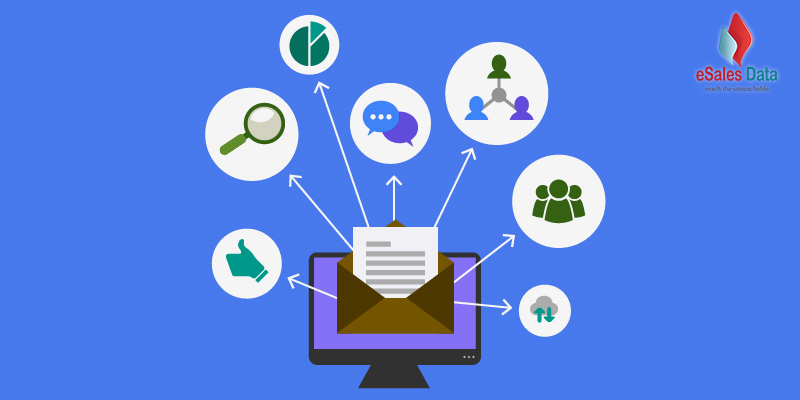 In the initial years when people were not so familiar with technological advancements, marketer’s only channel for communication with the prospect was email. They automated the process of sending emails to reduce their burden of work. However, gradually social media channels, mobile marketing, and other channels came into existence. As a result of which, marketers felt the need for an all-in-one marketing and sales platform that could coordinate their campaigns across various platforms, devices, and channels. Automation came as a quick answer to their concern, helping them automate the process of sending push notifications, SMS, and running targeted ads. Handling a lot of tasks may become hectic for a marketing team. No matter whether you are a part of a multinational company or a startup, marketing job is not an easy one. Day-to-day tasks of sending repeated emails or doing the same work over and over again may impact the efficiency of the marketer. As a result of which they may end up committing silly manual mistakes which may lead to a disastrous outcome. But with automation, marketers need not worry about such human errors anymore. No matter how compelling your strategy seems, if it doesn’t perform when needed, there is no use. Developing campaigns is not what your job as a marketer is all about. You need to keep track of its performance across various platforms continually. Marketing automation software not only helps in executing marketing actions but also monitors campaign responses. Based on specific parameters, the software judges the performance of your campaigns to provide you a detailed insight. This measurable data you can optimize to understand better what your customers want and where you are lacking. Leveraging such performance analytics, you can save your money and time rather than wasting them on useless activities. Marketing automation offers ample opportunities to marketers and is soon going to take over the digital marketing space. It not only streamlines business operations but also makes it more efficient and productive. From eliminating repetitive manual processes to felicitating personalized customer relationships, automation makes marketing a hassle-free process. Have you automated your marketing campaigns? If yes, then let us know your experience.